Codenames, the multiple-award-winning social word game is becoming an even bigger hit! 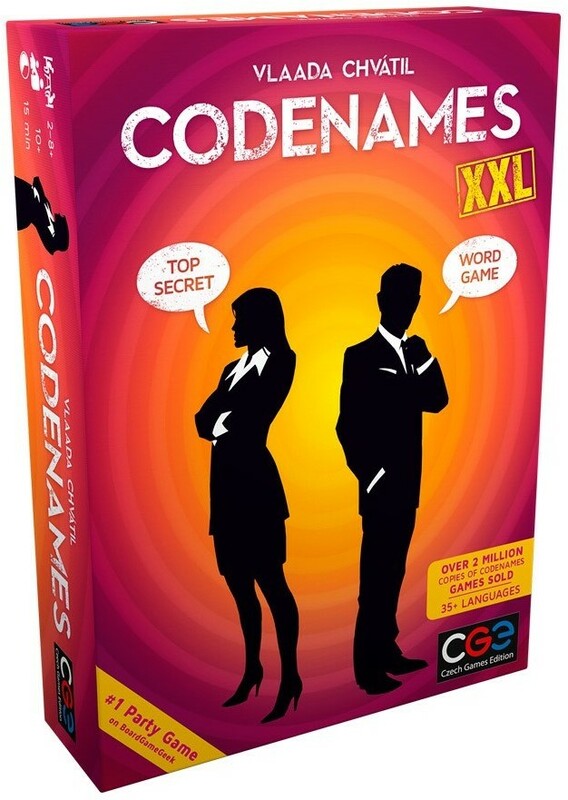 Czech Games Edition introduces Codenames XXL. The double-sized version of this winner of the 2016 Spiel des Jahres is ready to be enjoyed by larger groups. It provides easier visibility with all the fun of the original.